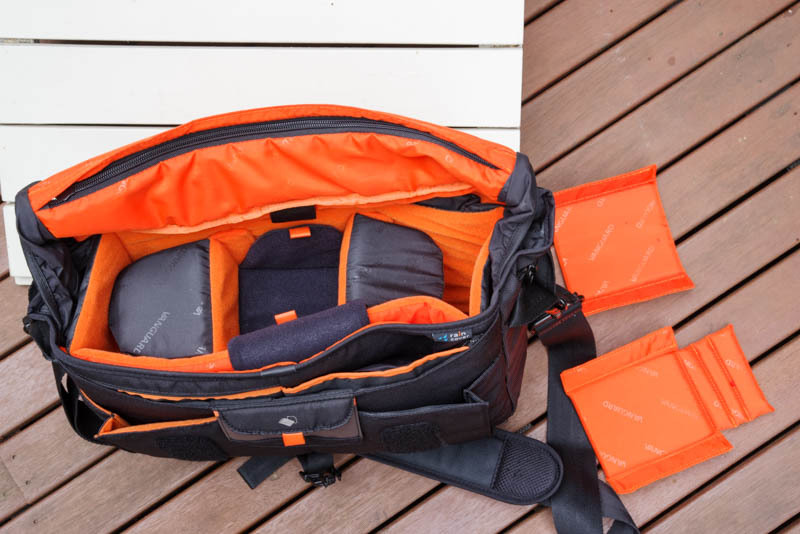 Vanguard Up-Rise II 38 bag: what is this? I thought at first it was extra padding for the shoulder strap, but it doesn't hold well, and is very uncomfortable, so that's not it. Any ideas? Ah yes, I think you're right bertwert. I was thrown by all the other dividers being bright orange. But this one is actually a vertical divider rather than horizontal, as shown here (centre segment). The velcro holds at the sides and the orange tabs at the ends are for pulling it away. Mystery solved. Yeh, the Manfrottos are not bad. It should serve you well. 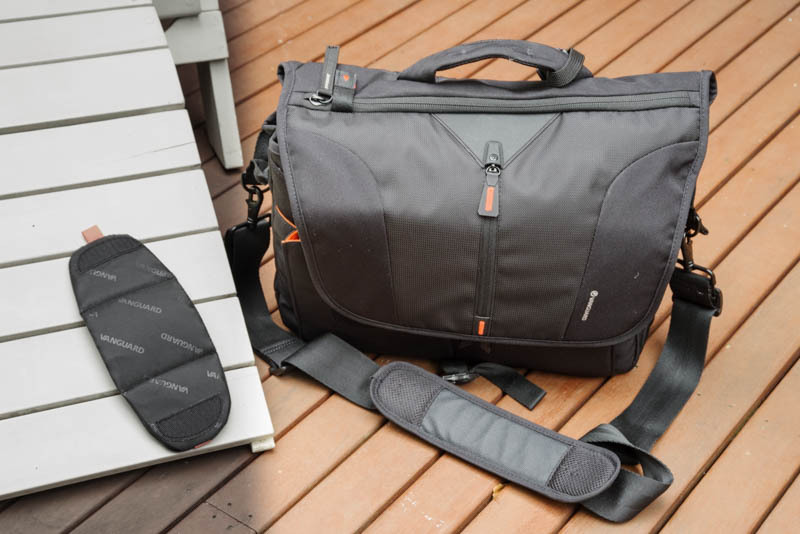 I have a couple of Lowepros, a sling bag and a backpack, that do a good job with a small to medium kit. But neither could accommodate my new big FF lenses. I searched around quite a bit before settling on the Vanguard. It does the job at a much more reasonable price than the Domke etc. All times are GMT -7. The time now is 11:49 AM. | See also: NikonForums.com, CanonForums.com part of our network of photo forums!